“The Little Stranger” from Focus Features is one of those films that should be more compelling than it ends up being. It features a thoughtful, layered script and strong, intense performances from its leads. Its production design and location photography capture setting and mood perfectly. Yet the film labors to maintain consistent or rising tension. It aims at suspense, but fails to keep you anticipating, perhaps because its trying to do too many things at once. Domhnall Gleeson (“Ex Machina“) plays Dr. Faraday, a mild-mannered country doctor in 1940’s England. One day he’s called to Hundreds Hall, a once-lavish manor house, to care for a new patient. While there, he comes in contact with the decaying manor’s only remaining residents, the Ayres family, and the palpable pall of gloom that hangs over them. Roderick (Will Poulter, “Detroit“), Caroline (Ruth Wilson) and their mother Angela (Charlotte Rampling) do what they can to maintain the estate, but it’s an impossible task. There’s no money, Roderick still suffers from scars physical and mental from his time as a pilot in the war, and Angela still carries herself as an aristocratic matriarch. Only Caroline seems in touch with their true situation. It’s Caroline that Faraday finds himself drawn to, and the two strike up a friendship. The more time Faraday spends there, however, it becomes clear something is very wrong. Strange things start happening. The behavior of all but Caroline begin to change. Is the house haunted, as some of the Ayres come to believe? Can it all be left behind by simply allowing the house to finally die, to sell it and be done with it forever? The answers to those questions are, of course, complicated. Based on the 2009 novel by Sarah Waters, “The Little Stranger” aims for the novel’s gothic feel and tone. In fact, the adapted screenplay from Lucinda Coxon (“The Danish Girl“) works hard to faithfully adhere to the source with few deviations. As stated at the start, the screenplay is one of the film’s strengths. Coxon’s characters, their attitudes, anxieties and fears, are rich with complexities and tensions borne of the times they live in. As a result, their conflicts within the film evolve out of much more than just the mystery that drives the film’s plot. Visually, however, the film adopts a more restrained approach, rather than full-on lavish gothic. Director Lenny Abrahamson, who proved so adept at creating spaces that took on character of their own in 2015’s “Room,” applies a similar aesthetic to Hundreds Hall here, and the house does take on a particular character. But that character doesn’t quite hit the mark the genre calls for. Yes, the house feels ominous, but rather than imposing or overwhelming, it just feels drab and decrepit. That lack of threat informs the entire production. 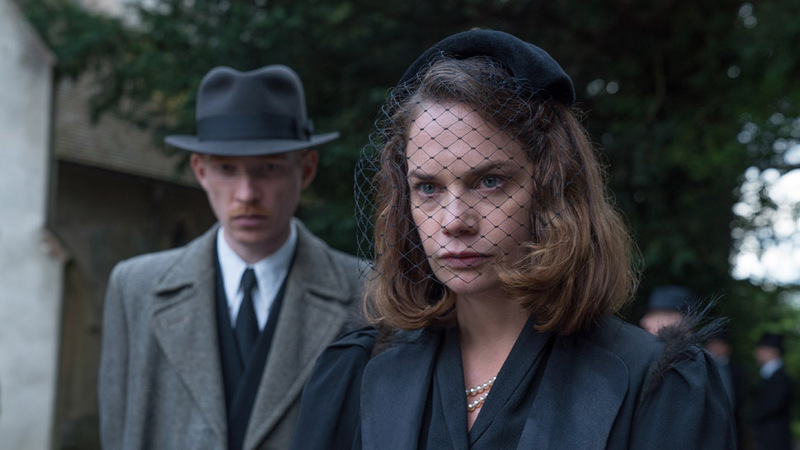 It keeps “The Little Stranger” from approaching the level of dread that the screenplay and story demand. It’s a shame, really. 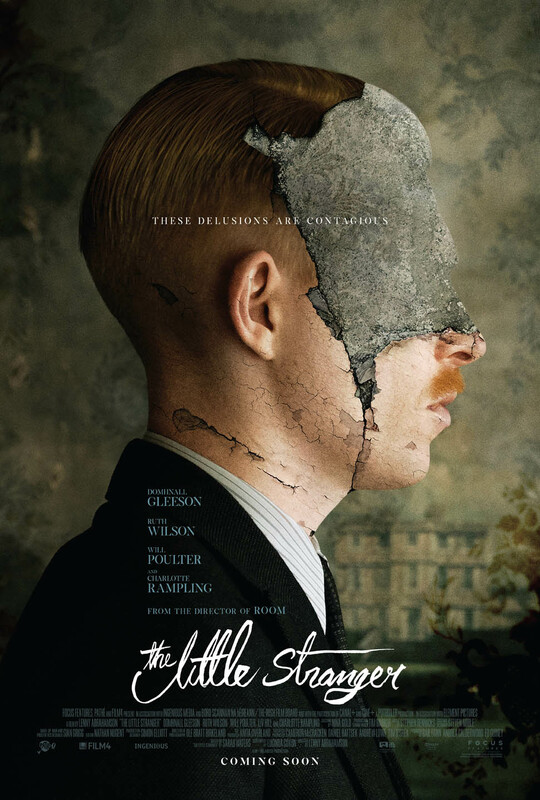 The performances in “The Little Stranger” are superb — Gleeson’s quiet, brooding intensity and Poulter’s work through some gruesome prosthetics stand out amidst a very strong ensemble. But those performances aren’t enough to keep the film as a whole compelling. It has its moments, but Abrahamson just doesn’t create enough of a creep-factor around his actors to make this feel the way it should. Instead, it feels long and labored, despite coming in under two hours. And while the film’s ending does deliver somewhat of a surprise, it’s just too little, too late. Starring Domhnall Gleeson, Ruth Wilson, Will Poulter and Charlotte Rampling. Directed by Lenny Abrahamson. Rated R for some disturbing bloody images.